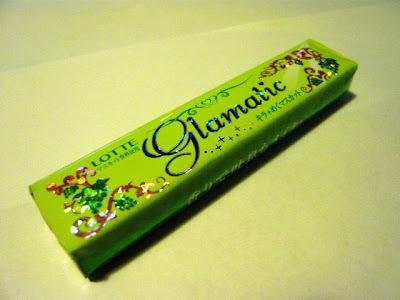 Lotte, a confectionery manufacturer from Japan (equivalent to Wrigley in US), came out with a chewing gum called "Glamatic" that will make you ashamed of your Orbit chewing gum in your fashionable tote. 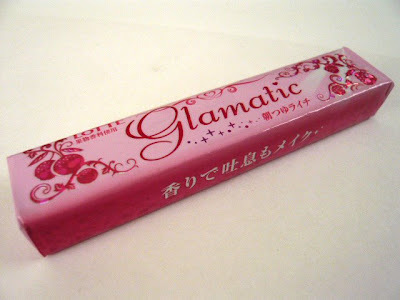 Glamatic chewing gum is available in three flavors: mixed-berries flavor (black packaging), lychee flavor (pink packaging) and muscat flavor (green packaging). They all have very unique and tastefully pretty packaging to match your taste of fashion. 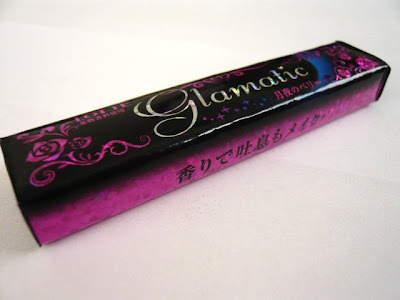 A Japanese blogger suggested that the black and pink versions of Lotte Glamatic Gum are reminiscent of the beloved cosmetics brands, Anna Sui and Jill Stuart. I think the black version does remind me of Anna Sui Cosmetics. Have you tried them? I haven't tried any of these yet, but I think the packaging is really princessy and dreamy. I hope they taste good too. They are available at jbox.com for $1.50 each.